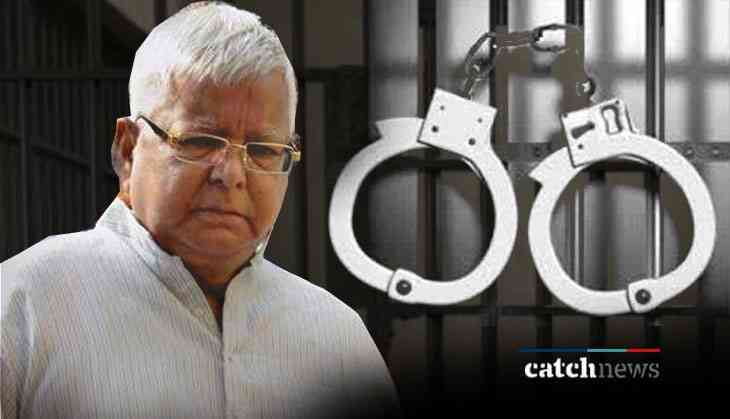 In yet major development in fodder scam case that Rashtriya Janata Dal (RJD) chief Lalu Prasad Yadav has surrendered today before the special CBI court in Ranchi today (30th August 2018). He has surrendered after the Jharkhand High Court cancelled his provisional bail in this week. According to the reports, ‘I am following the court’s order. I am unwell but I am still surrendering,’ Lalu Yadav told to reporters outside the court where he surrendered. The former Bihar Chief Minister has been convicted in four cases of the multi-crore rupees scam case. He has granted bail in May this year because of his illness. After surrendering before the Judge S S Prasad, RJD chief’s advocate Prabhat Kumar also said that Lalu had been suffering from various ailments. He was released on six weeks' provisional bail on May 11 by the Jharkhand High Court for medical treatment and was restrained from taking part in any public function, political activity or issuing statements to the media during the period.